Why would I need self storage in Mobile, AL? There are a variety of reasons why you might need self-storage in Mobile, AL. How much is a storage unit in Mobile, AL? The cheapest storage unit in Mobile, AL is $34.00 per month. What size storage units do you have available in Mobile, AL? In Mobile, AL we have sizes that range from 4'x7' to 20'x25' to suit your storage needs. How much is it for a 4'x7' storage unit in Mobile, AL? The cheapest 4'x7' storage unit in Mobile, AL is $34.00 per month. Mobile is not only one of the oldest cities in Alabama, but it's also one of the largest. No matter where you turn, you'll run into an interesting piece of the city's history, and its extensive public archives offer a fascinating look into Mobile's past. Situated on Mobile Bay on the Gulf Coast, Mobile is the only saltwater port in Alabama. During its early years, its location made it important in the American South. Today, the city still sees healthy growth because of its shipping and port facilities. The French first established Mobile in 1702, and it has many rich cultural traditions dating back to its origins. Although many consider New Orleans the city of Mardi Gras, Mobile was actually the very first American city to organize celebrations for Carnival and Mardi Gras. The celebration, which started in 1703, was revived after the Civil War when citizen Joe Cain wanted to uplift the war-torn city. He led an impromptu parade down the streets. 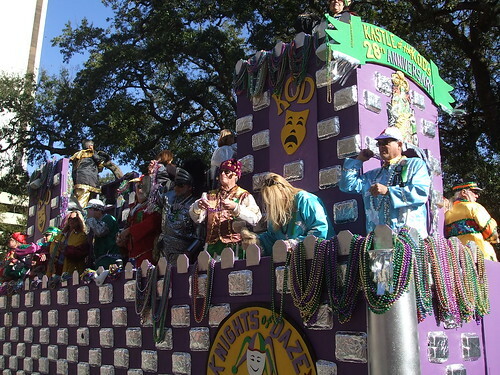 Now, the celebrations start two-and-a-half weeks before Fat Tuesday as the city comes alive with parades, parties and balls. You can partake of the celebrations by attending the downtown parade, where you can see a variety of floats and local performers. Conde Explorers, a local cultural society, helps organize the parade and the ball that follows. Ashland Place was named after a large antebellum estate within its borders, and it is a historic district with many well-preserved houses. It's best known as the home of Augusta Jane Evans, an American author who was the first female writer to earn $100,000 for her work. Downtown Mobile is a vibrant community of contrasts, with modern-day offices right next to locally owned galleries, cafes and bars. Downtown is the site of Mobile's famous Mardi Gras celebration, and the parade travels directly through the heart of the city. One of the most notable Spring Hill attractions is the Spring Hill Driving Tour, which offers an up-close view of several of the area's historic buildings. Or you can take a walk through the campus of Spring Hill College, famous for its scenic Avenue of the Oaks. Named for the 1600s Italian explorer Henri de Tonti, this Mobile neighborhood hosts a large collection of historic townhouses. You can see pristine examples of Greek Revival and Federal architecture, and many of the homes date back to the mid-1800s. Mobile County Public School System manages the schools. In addition to elementary, middle and high schools, the district offers several magnet schools. Or you can enroll your child in one of the district's signature academies, which focus on areas including engineering, information technology, international studies and health care. Mobile has several private schools as well, both faith-based and secular. If you're planning to pursue your college degree in Mobile, you have both private and public campuses to choose from. The University of South Alabama, Faulkner University and Spring Hill College are among the city's most well-known post-secondary schools. Utilities: The main electricity provider is Alabama Power, while the city manages the water and sewer systems. Garbage and Recycling: The city offers residential trash pickup once a week. If you'd like to participate in the recycling program, the recycling drop-off center is open seven days a week. Transportation: If you're planning to drive in Mobile, you must get your Alabama driver's license within 30 days of moving to the city. If public transit is more your style, you can use the Wave Transit System to get around town. Thanks to the affordable cost of housing in Mobile, you'll find it easy to find something to fit your budget. The city offers a variety of options, ranging from multi-family apartment communities to large, single-family homes. Our lowest priced units in Mobile, AL average $56.20 per month. 247 people have reserved units in Mobile, AL in the past 30 days. 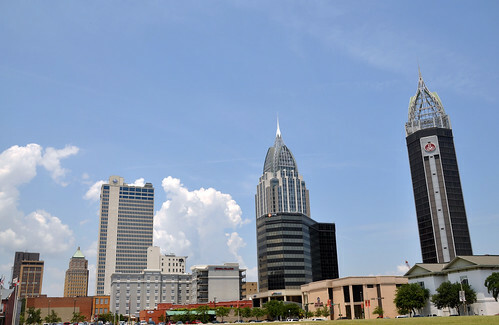 There are 5 locations within Mobile, AL's city limits. There are 3 locations in Mobile, AL that offer AC and Heating features.